The Texas Chain Saw Massacre has been the subject of such acclaim and notoriety since it premiered in 1974 that I can’t imagine that I have much worthy of adding to the topic. Much has been written about the production of the film, and its subsequent cultural impact. If you haven't already, you must see this tender tale of a boy and his chainsaw. In 2011, my good friend Brad asked me to find the locations where the movie was filmed, and I quickly discovered the texaschainsawmassacre.net site, run by Tim Harden. I found the filming locations on this page using Tim's site, and Tim has done a tremendous job of capturing almost every detail about The Texas Chain Saw Massacre and its various sequels. I encourage you to check out his page to learn more about all things "Texas Chainsaw," and you can even join the Official Texas Chainsaw Massacre Fan Club. Thank you, Tim! The film opens with a gruesomely iconic shot of desecrated corpses mounted on a tombstone in a cemetery, as a radio announcer describes grave robbing in the (fictional) town of Newt, Texas in (also fictional) Muerto County. Later, Sally (Marilyn Burns) and Franklin (Paul Partain) and friends visit the cemetery to check on Sally’s and Franklin’s grandfather’s grave. 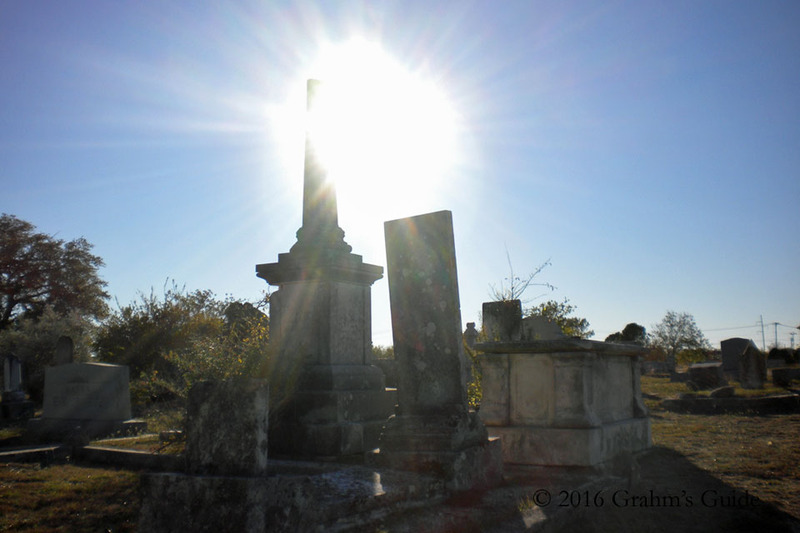 The cemetery scenes were filmed at the Bagdad Cemetery in Leander, Texas, at the intersection of North Bagdad Rd at Old Farm to Market Rd 2243, Leander, TX 78641. The tombstone with the defiled corpses was a prop for the movie but the taller grave marker behind that gruesome tableau is still visible in the cemetery. It’s easy to locate near the large building at the center of the cemetery. This isn't angle seen in the movie, but it shows some of the work being done by the new owners of "The Gas Station"
After an encounter with a weird hitchhiker, the van full of twentysomethings stops at a gas station which also houses the W.E. Slaughter Barbecue shack. 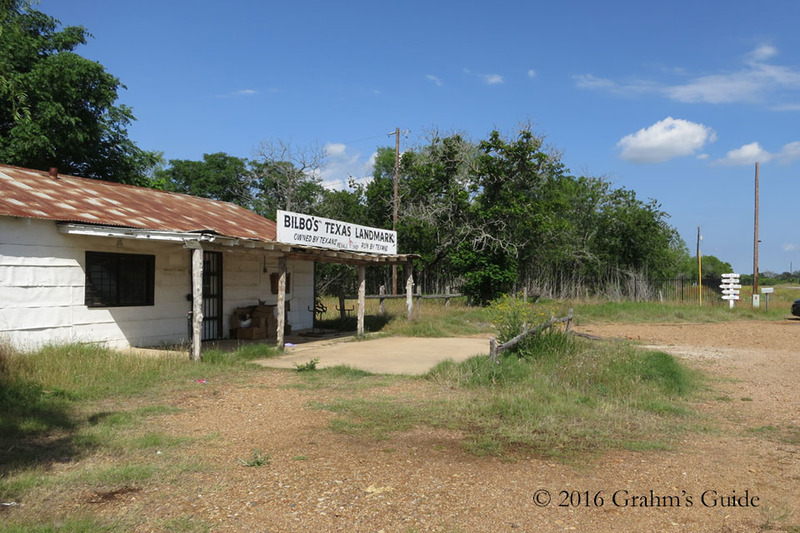 The gas station scenes were filmed at 1073 SH 304, Bastrop, TX 78602. 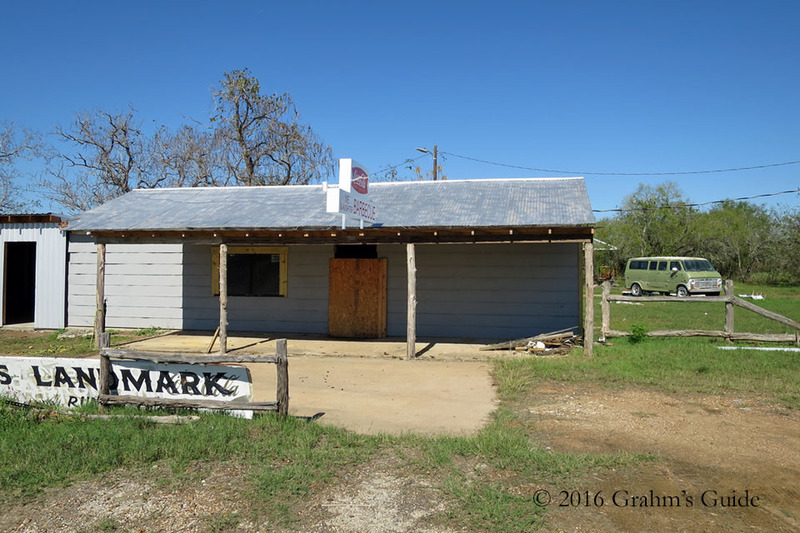 For a few years, the building sported a "Bilbo's Texas Landmark," long after that business was no longer operating. On October 8, 2016, after extensive remodeling, the location's new owners opened The Gas Station as a store and resort. Now, you can spend the night in a cabin on the location of one of cinema's most famous cannibal restaurants. The world of The Texas Chain Saw Massacre has been topsy-turvy from its inception, and the original family house, where Leatherface’s family lived, is no different. The house where the exterior and interior scenes were filmed once stood in an area known as Quick Hill, in Round Rock, Texas. In 1998, the structure was moved 60 miles away to Kingsland, Texas to be part of the Antler’s Hotel complex. 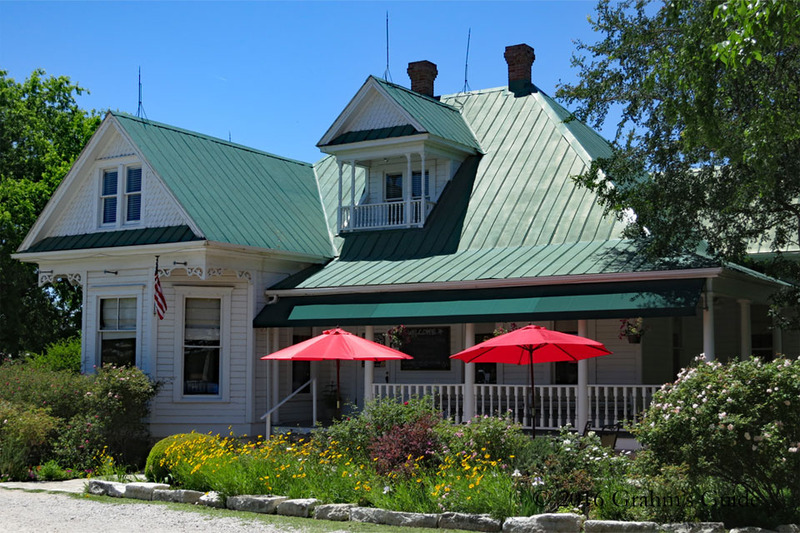 The house is now located at 1010 King Court, Kingsland, TX 78639, and has served as various restaurants over the years. Currently, it is the home of the Grand Central Cafe, which I highly recommend for a nice meal. 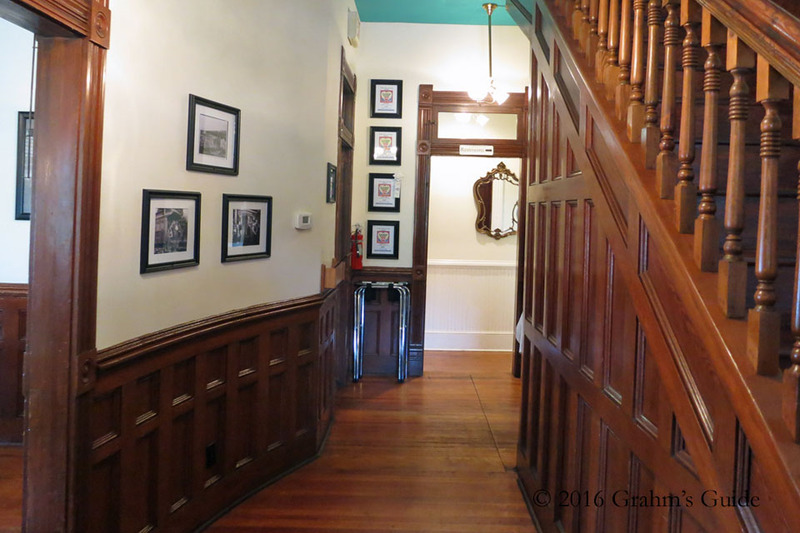 Ardent Chain Saw fans might even want to visit the "sister house" to the original "Family House." As described on texaschainsawmassacre.net, the "sister house" was built with the same plans as, and once stood near the original Family House on Quick Hill. Today, the "sister house" is located at 701 San Gabriel Village Boulevard, Georgetown, TX 78626, and is the office of an oral surgery practice. 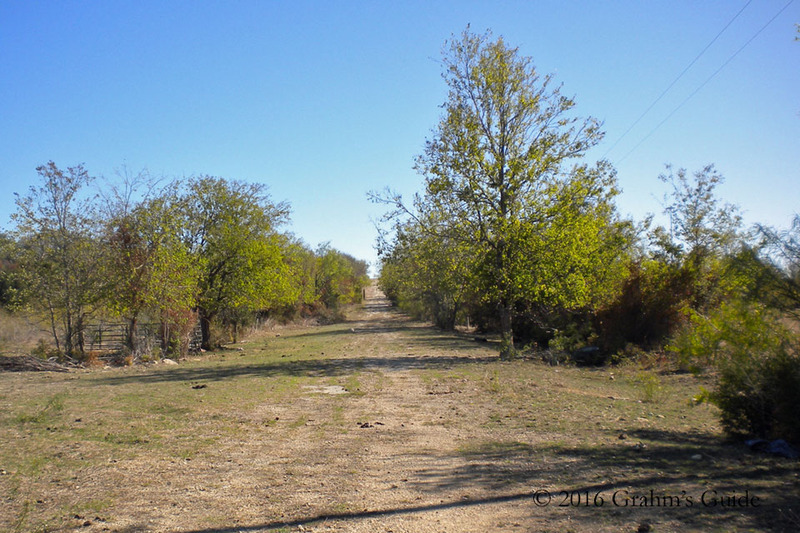 The Family House originally stood on what is now known as Old Country Road 172 on Quick Hill in Round Rock. 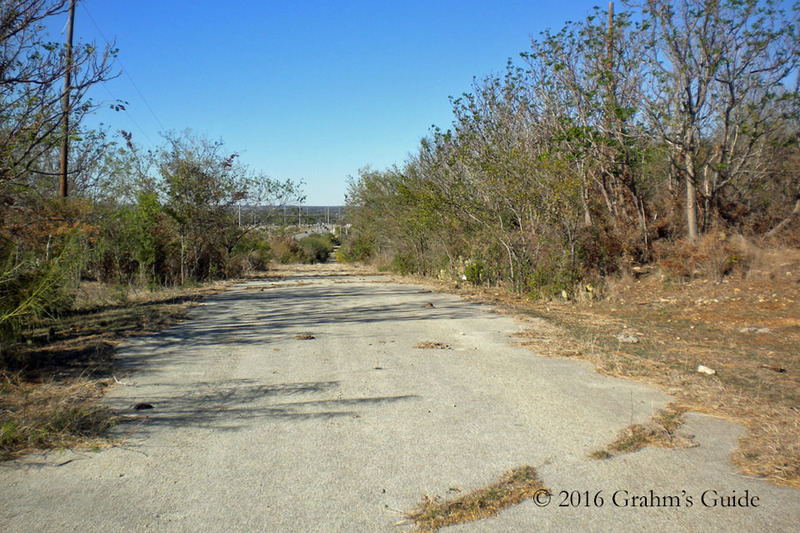 As the growth of Austin, Texas has pushed out to Round Rock, development has encroached upon Quick Hill, and very little is identifiable. Fortunately, there is a little bit still left, but you might want to hurry if you want to stand on the hill where movie magic happened. The site of the original house is private property, and is fenced in, so you probably won’t be able to see anything where it once stood. I estimate that location at approximately 30°28'45.3"N, 97°41'27.5"W.
The road where the final scene takes place is barely in existence, at this point. The pertinent section of Old County Road 172 is also fenced in, however, even without trespassing, you can still see some of road where much of the final scene takes place. I estimate that the driveway to the family house met the road at approximately, 30°28'43.6"N 97°41'32.2"W. It's right along a busy highway, so be cautious and stay safe. I was fortunate enough to meet two of the major players in creating The Texas Chain Saw Massacre. I met Gunnar Hansen, who so skillfully portrayed "Leatherface," when he was promoting his book, Chain Saw Confidential: How We Made the World's Most Notorious Horror Movie. He was certainly nothing like that character, in that he seemed, kind, erudite and gentle, and I was saddened when he died in November, 2015. I highly recommend his book as an informed look behind-the-scenes of low-budget filmmaking. 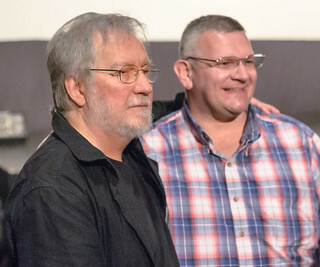 I met Tobe Hooper at an event promoting the restoration of Hooper's earlier directorial debut film, Eggshells, which he also wrote with Chain Saw co-creator Kim Henkel. He was quite gracious in meeting all of the fans who showed up to see that far-out film from 1969. The Texas Chain Saw Massacre © 1974 Vortex, Inc.